It’s here! But I bet you’ve been wondering what is the Cricut Knife Blade? I’ve got some insider secrets to tell you and some tips and tricks to help you along the way. This post contains affiliate links. At no extra cost to you, I receive a small commision. Thank you for your support. So, what is the Cricut Knife Blade? I’ve been holding in a secret for the last few weeks in that I’ve been able to try and test it out before others can. I and some other bloggers have been working around the clock to show you exactly what the Cricut Knife Blade is and what you can make with it. The Cricut Knife Blade is compatible with the Cricut Maker. It is a part of the new Adaptive Tool System which will be on all new Cricut Maker machines from here on out. The Cricut Knife blade cannot be used in the Cricut Explore models because they do not have the Adaptive Tool System or force capable to use the system. Should I buy the Cricut Maker now or wait for later? If you have been wondering whether you should buy a Cricut Maker rather than the Cricut Explore model, I’m here to tell you to invest the extra money because the capabilities are far greater. That’s not to say that the Cricut Explore is not a great machine. If you plan on just cutting paper and vinyl, the Explore is a great option. The Cricut Maker, now with the new knife blade, is able to cut more materials because the machine can handle thicker materials. My suggestion is that if it’s in your budget to buy an Explore model, save the extra $150 and buy the Cricut Maker. There is still more to come with this and even if you’re just a paper crafter and not a seamstress, I’d buy the Cricut Maker. What can I cut with the Cricut Knife Blade? So, what can you cut with the Cricut Knife Blade? I have so far cut basswood, shrink film, raw-hide leather, Cricut chipboard, frame matboard, stamp material and they’ve all been varying thicknesses. The thickest material you can cut with the Cricut Knife Blade is 2.4mm. When you buy your materials, some will list the thickness on the SKU tag. Play around and see what materials you like cutting best. For me, it’s the new Cricut Chipboard. 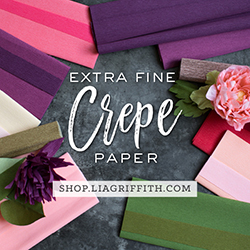 It comes at 10.5″x10.5″ for the simple fact that the widest material you want to cut is 11″ with the Cricut Knife Blade. The reason for this is that the white rollers on your Cricut will leave an indentation. To resolve this, just use your hand and simply slide all the rollers, one by one, to the right side of the metal bar. How do I prepare my material for the Cricut Knife Blade? 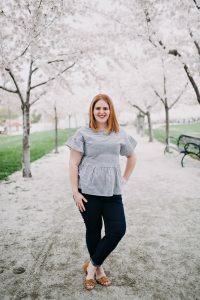 Since the Cricut Knife Blade is so different from anything Cricut has released before, the preparations are different. To prepare your material you’re going to want to use only Strong Grip Mats, these are the purple mats. You’re also going to want to use some basic masking tape and tape down your material to the mat. This is an extra step you’re going to want to take, absolutely! The Knife Blade takes a lot of time to get the cuts so you’re going to want the extra security by tacking it down. It’s ok if the tape gets cut in the process and if it adheres to the object you’re cutting. This can easily be removed. Don’t use duct tape because that can’t be removed easily and I never had an issue when I used just the standard masking tape. With the tape, another thing to remember is that if you have an oily surface, like leather, the tape won’t stick very well to it. My item cut fine with the leather, I just had to watch it extra close. 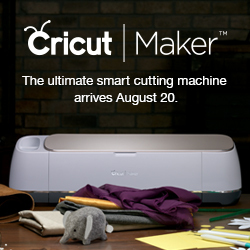 How do I prepare my machine for the Cricut Knife Blade? I mentioned above that you’re going to want to move your white rollers to the right of the metal bar. The rollers are really there only for print-then-cut materials so you don’t need to always have them in the middle of the rollers. You will know right away if you forgot because your material will most likely be embossed with the rollers. You’re going to want to calibrate your Knife Blade to your machine. When you buy your Maker, it comes with the rotary blade already calibrated specifically to your machine so you’re going to want to do this extra step with your knife blade. To calibrate, just choose the drop-down bar on the left of your screen in Design Space. Follow the prompts on your screen. I used colored cardstock for this but plain paper will work. It’s just easier to see the cuts matching with colored cardstock. You’re going to want to count the lines that your Cricut Knife Blade cut and choose the number you’ve counted where the two lines cut meet together. What expectations should I have for the Cricut Knife Blade? Again, because this is a product Cricut has never released before, it’s important to know that this is not a fast project kind of tool. The knife blade works by slowly gaining more pressure with each pass of the blade. Because of this, it can do up to 20 passes for each cut. Depending on the detail of your image, it can take hours. I’ll say that again, it can take hours for your project to cut. And sometimes that can be just one mat. If you have several mats with several details, it can take you all day long. Because it can take so much time to cut a project, you have to use your desktop for the Cricut Knife Blade. You have to set your computer out of sleep mode and you have to make sure that it’s plugged into an outlet. You don’t want to have your computer go to sleep mid-project and then ruin the materials. The blades can chip very easily so leave on the cap when your blade is not in use. I don’t put the cap on while the housing is installed but whenever I switch it out I do. That is all the basic information that you need to get started using your Cricut Maker and your Cricut Knife blade. They’re going to retail for $39.99 and the blade replacements will be $16.99. The Maker and their housings don’t go on sale too often but the blade replacements do. I am trying to decide between the Knife Blade and the Deep Point Blade! Can the Knife Blade do thicker glitter card stock as well? or will it be too strong? It will actually be too strong for the glitter. I use my Deep Point a lot for those kinds of materials and for Cricut’s leather. The knife blade is perfect for wood and their thick chipboard. Question: Can you cut thin aluminium with the machine? If so what blade would be required? You can cut an aluminum can and that can be done using a standard blade. Usually Knife Blade materials have already gone through testing with Cricut and if that material isn’t available as a choice, it would make me nervous to try it. Good luck!